Interchangeable lens Sony cameras have been off my radar for a while. But this week I bought a couple of Sony odds and ends. We've lately been inundated by news and reviews about the new, Sony a6300 interchangeable lens, APS-C camera --- for a couple of weeks now. It ends up getting re-re-reviewed in some way or another on the front page of DP Review almost daily, and everybody who does a fun web tv show about photography got invited by Sony to Miami Beach for a big, showy launch of that camera. So you see the cigar roller shots and the cabana girl shots everywhere. But.... This is NOT a review of the a6300. This is not a review at all. This is a blog post about curiosity more than anything else. 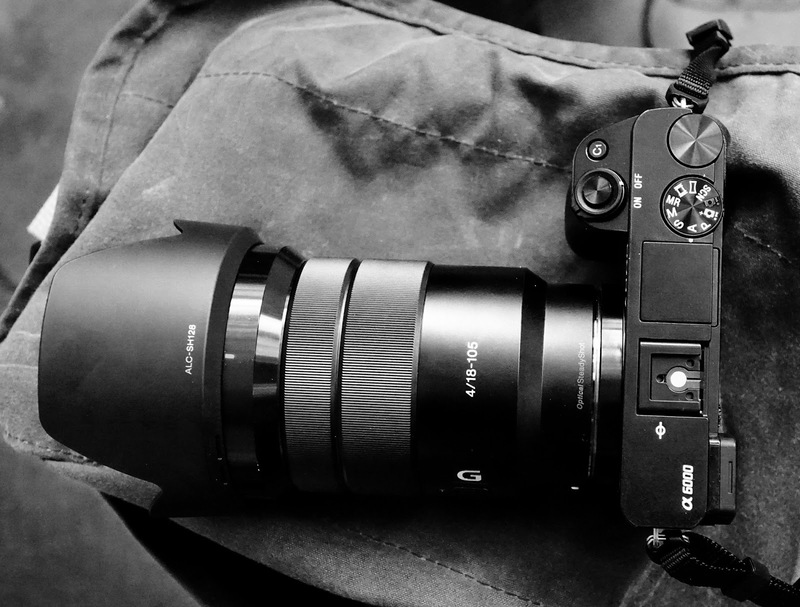 In the ramp up to the launch of the a6300 Sony trotted out a sales story. According to them the a6000 was the best selling, interchangeable lens, APS-C camera ever minted. Blew the doors off everything else. Outrageous sales! (Which makes one wonder why they didn't take advantage of that leverage to make a bunch of killer APS-C E lenses to go along with the momentum). After I read that, with the sense that I'd blinked and missed some important milestones in the camera industry, I went back and started reading old reviews and assessments and tried tracking down photographers of note who use/used the a6000. What I found is that a lot of people loved the camera ---- inspire of its faults.